The Battle Spirits Digimon Collaboration mini playmat that was made available at various Battle Spirits tournaments over the past month or so is being made available at Premium Bandai. No changes from it as it was being sold at the events. It's a microfiber handkerchief, measuring roughly 16.5 x 11.7 inches, that doubles as a mini playmat for Battle Spirits. It has the artwork for Omegamon, Imperialdramon Fighter Mode, and Dukemon Crimson Mode, showing off signature Digimon from the 3 'new content' Digimon collaboration booster sets. Pre-orders at Premium Bandai are 1,620 yen. It's scheduled to ship in March. 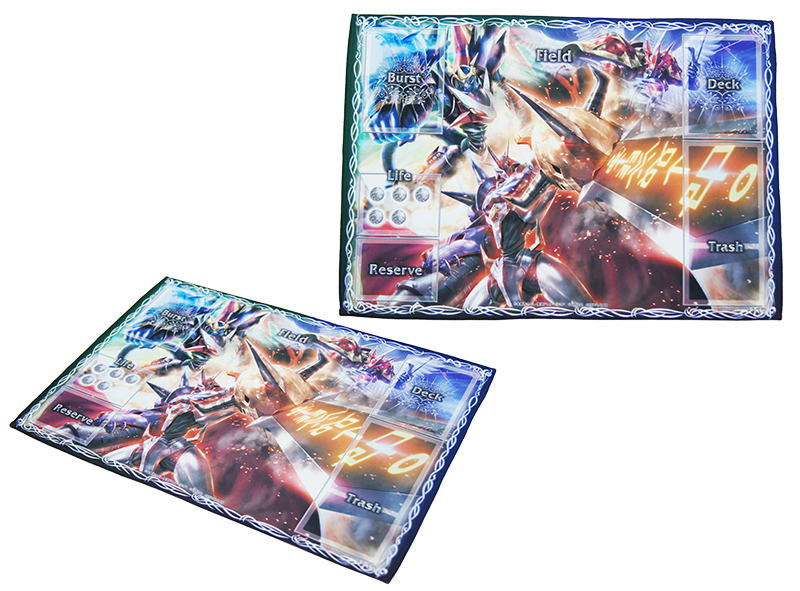 Previous details about the playmat can be found here.